The pendant lamp AJ Royal of the renowned and award winning design manufacturer Louis Poulsen from Denmark is a luminous body in a classic design with refined details: graded annular lamellae radiate soft uplight up and off, perfect for any indirect, ambient lighting, eg in the dining room. 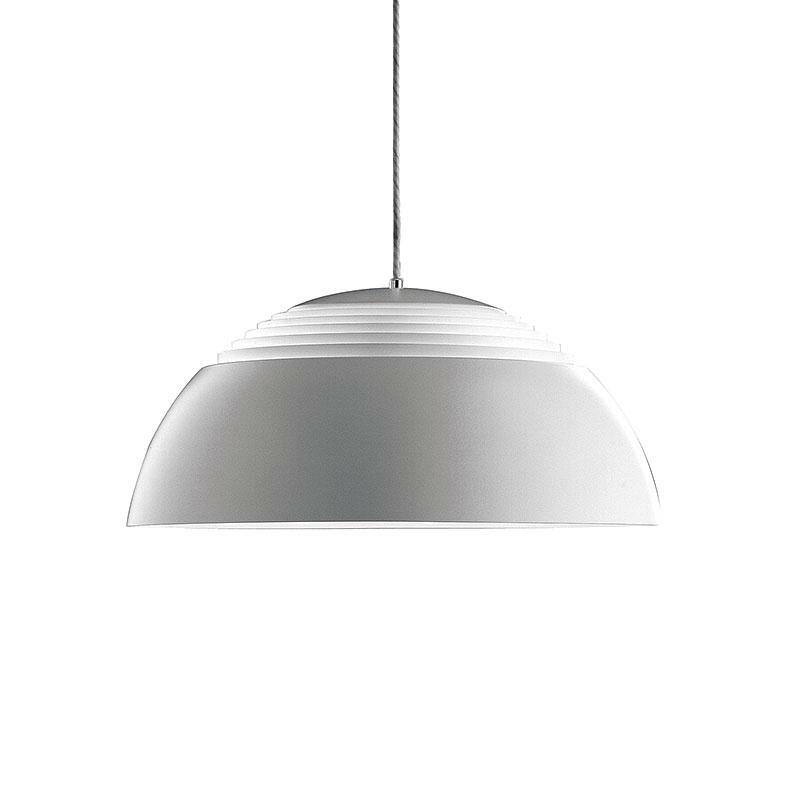 Arne Jacobsen designed this timeless piece that can score with simple, but effective lighting ideas and is able to shine in any room situation, especially in serial attachment. The lamp shade is made of white, wet painted aluminum, the rings are made of steel. In order to offer you the maximum comfort and satisfy their individual housing needs, Louis Poulsen has created this wonderfully coordinated, harmonious light miracle that is designed rather decent as intrusive and able to outlast all fashions and contemporary phenomena through its classic and simple shape.